Could it be that Jade Catkin found a young Scrappers kitten playing in a mud puddle? It sure does look as though that little one needs some scrubbing – and she isn’t happy about it! 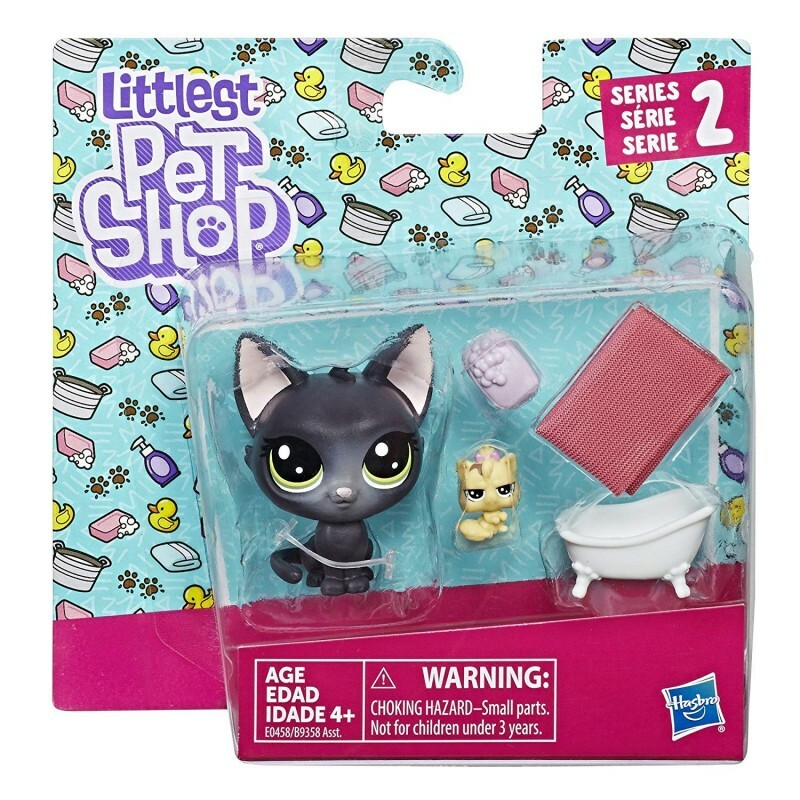 With fun themed accessories, kids can imagine that it’s bath time… will the kitten wash up willingly, though? That’s the question! A great way to start -- or add to -- any LPS collection. • Includes 1 Classic- and 1 Teensie-scale pet, and 3 accessories.